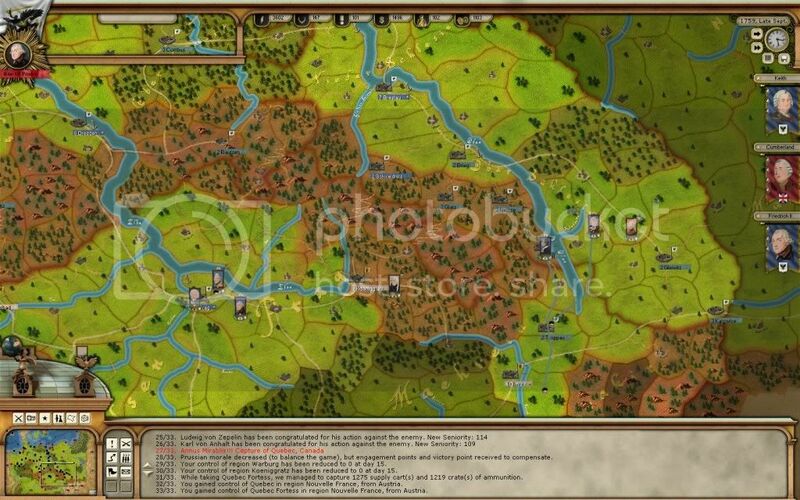 In South, Prague is besieged by a 90000 army of Austria, Heinrich is inside with 24000 men. 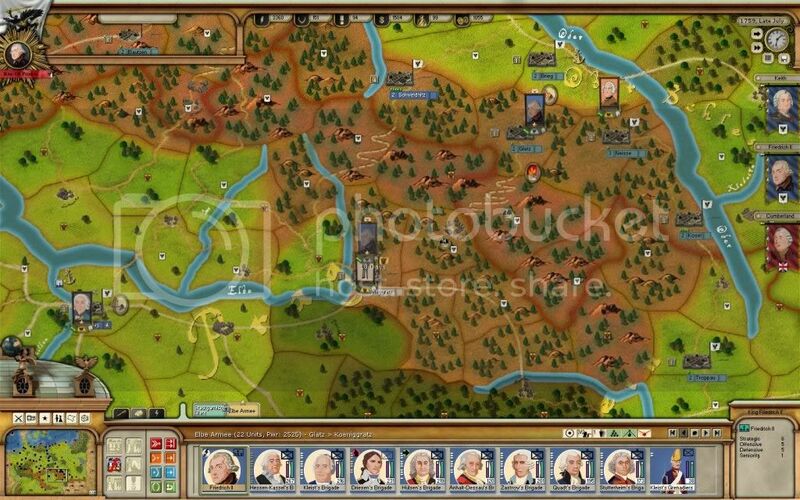 Frederick himself has 31000 men under his command, on the way to save Prague and more importantly, his brother Heinrich. Schwerin has 17000 men, but when he recovers completely, he is gonna have 22000. This my safest front. 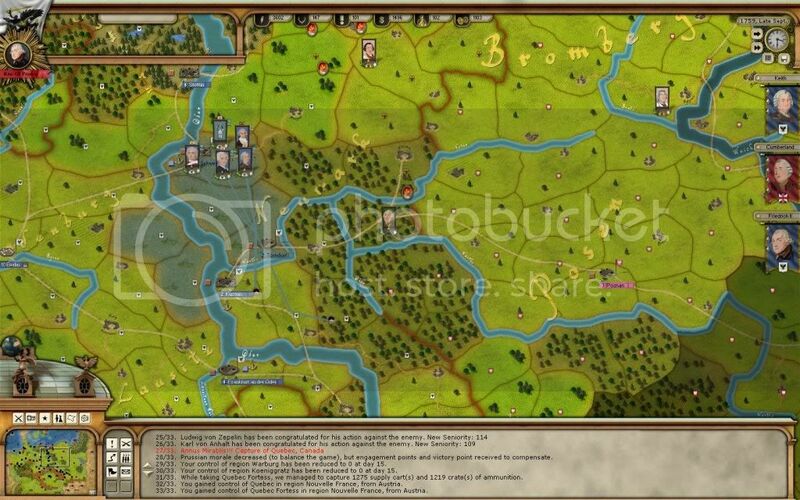 Unlike my first campaign, i abandoned Königsberg when von Lehwaldt had retired. 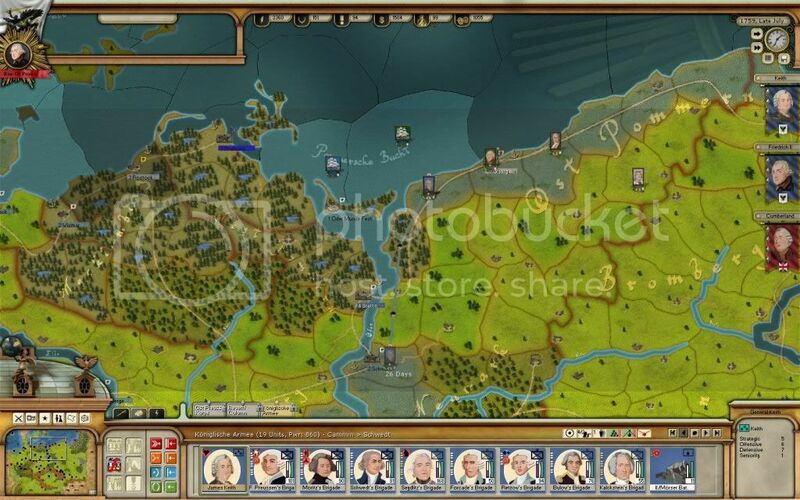 Russians have started to invade my mainland, they captured Kolberg. I tried to save the city with Keith, who is the commander of North, but failed. Russian army has 100000, with full recovery 120000 men, and my North army has 58000, full recovery 65000 men. 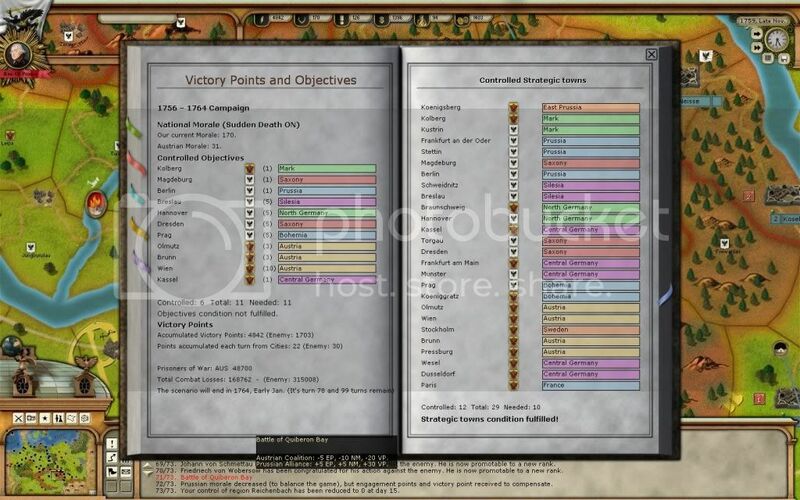 This is my most difficult front, i can't send reinforcements to Keith in near future. I hope he can survive Russian onslaught till winter. In West, i am suffering from an organization failure. 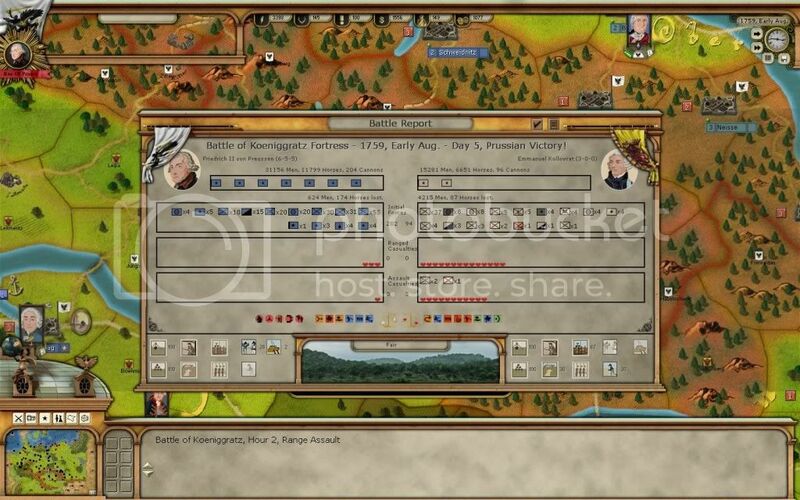 Ferdinand is still two star general, so i can't make him the general of West, and i don't want to let Cumberland manage my armies in battles. That's why he is away from battlefield, and problem is that i can't make synchronized attacks. Kassel is hopeless, i will try to hold Lipstadt and Munster as long as possible. Numbers of both sides are nearly equal here i guess. For Prague, you wait until breach. As far as I remember Prague needs 3-4 breach for assault. If at that level of breach you attack with Frederick as an army commander. Then sally out with Heinrich as corps commander. That way maybe they will synchronize more. Schwerin was ready to attack, he saved Brieg. 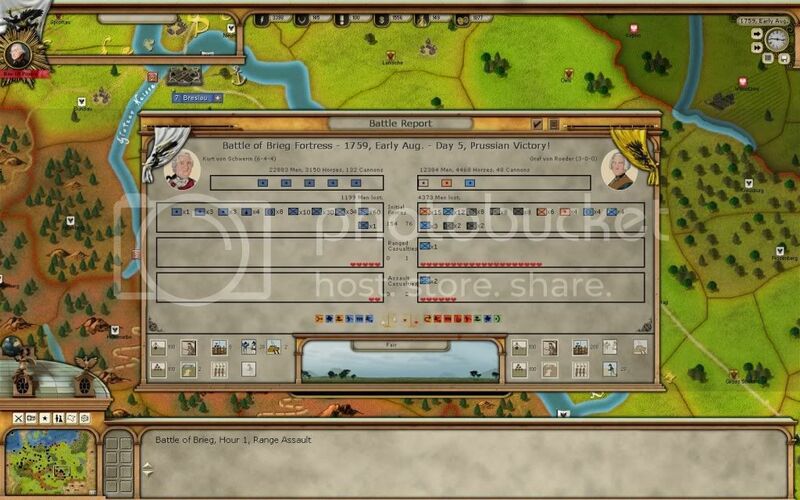 This battle improved Schwerin's skills greatly. 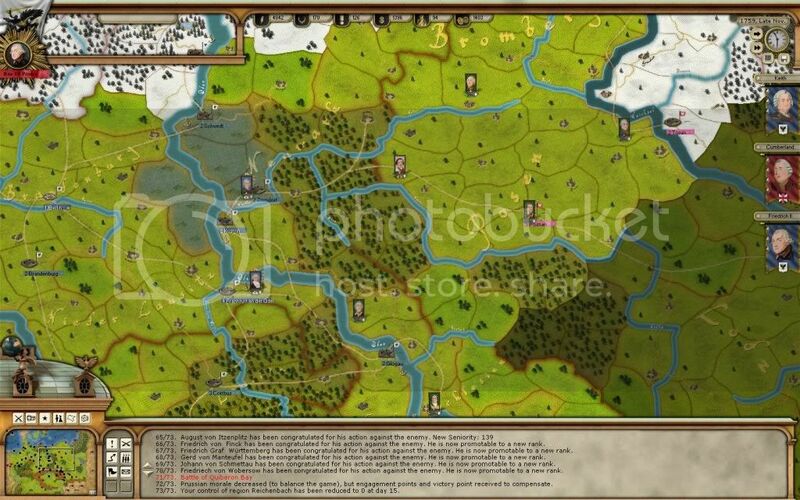 Frederick encountered an 15000 men Austrian force at Koeniggratz while on the way to Prague. 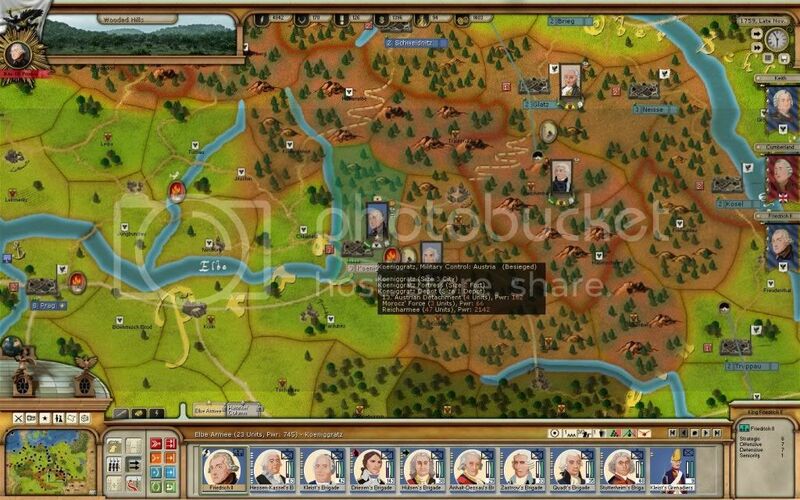 Also you can see at the bottom left of screenshot that another Austrian force is coming to Prague, this ain't good. Baris wrote: For Prague, you wait until breach. As far as I remember Prague needs 3-4 breach for assault. 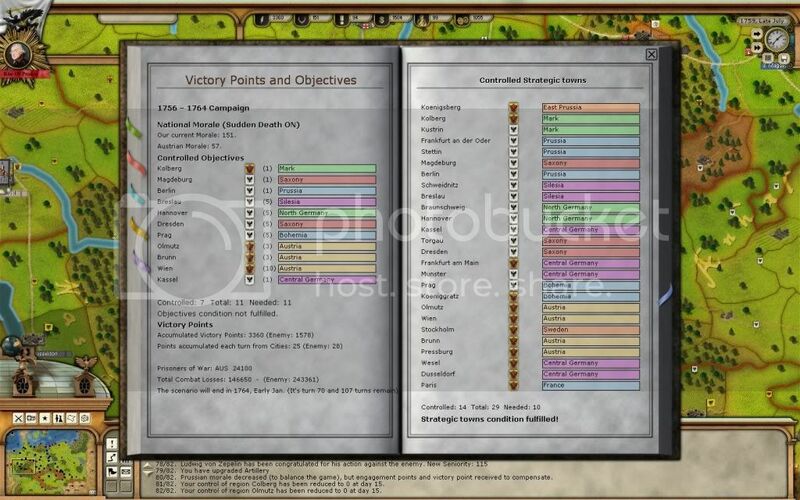 If at that level of breach you attack with Frederick as an army commander. Then sally out with Heinrich as corps commander. That way maybe they will synchronize more. 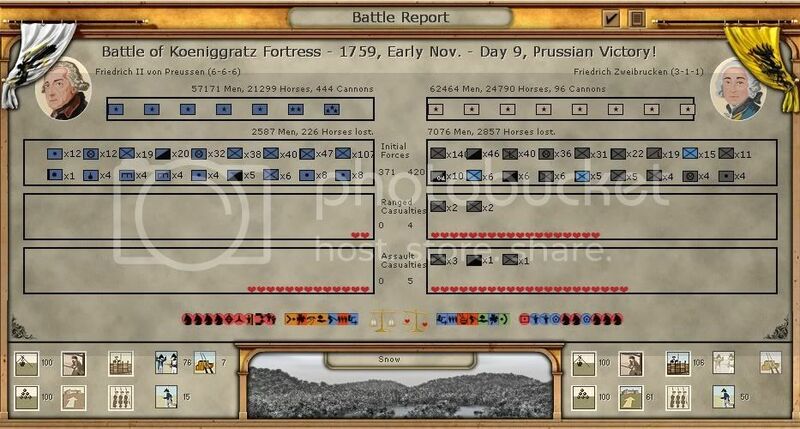 Ferdinand saved Munster with 2400 casualties, while enemy had 3100. Kassel has fallen and French army is advancing. Since winter is close, i don't expect a direct offensive to Hannover, Lippstadt may be their new target. 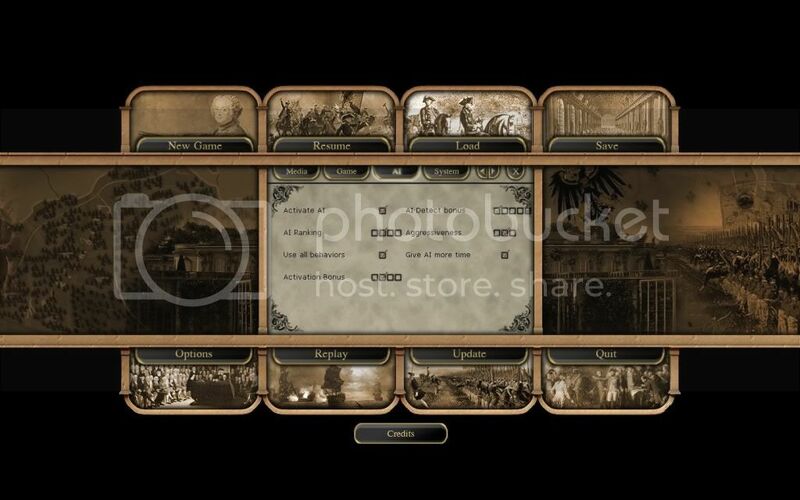 Prague siege reached two breaches, Frederick is moving to city hope he and his brother can coordinate in battle. This can be a turning point. 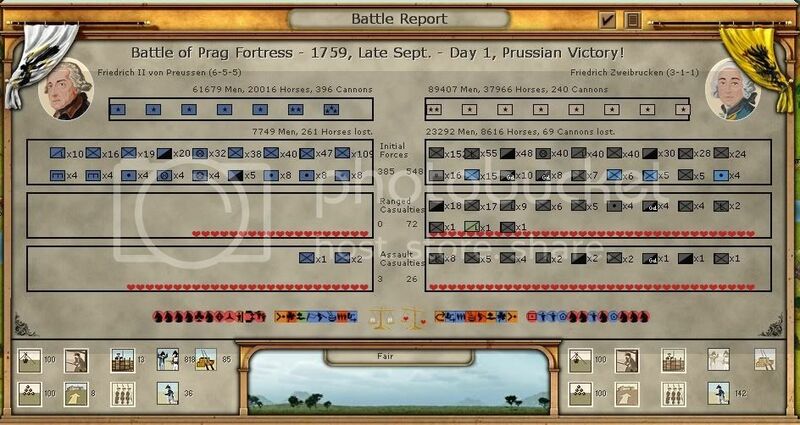 Schwerin continues to his offensive, giving another hit to Ausrian force: 1500 casualties while Prussians lost 200 men. He will rest in Troppau, then will siege Olmutz. 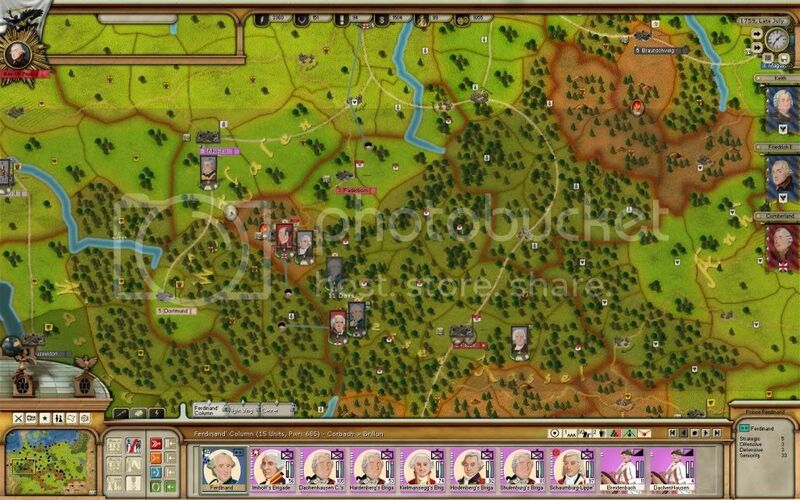 Rather than testing my army in Schwedt, Russians are moving south. 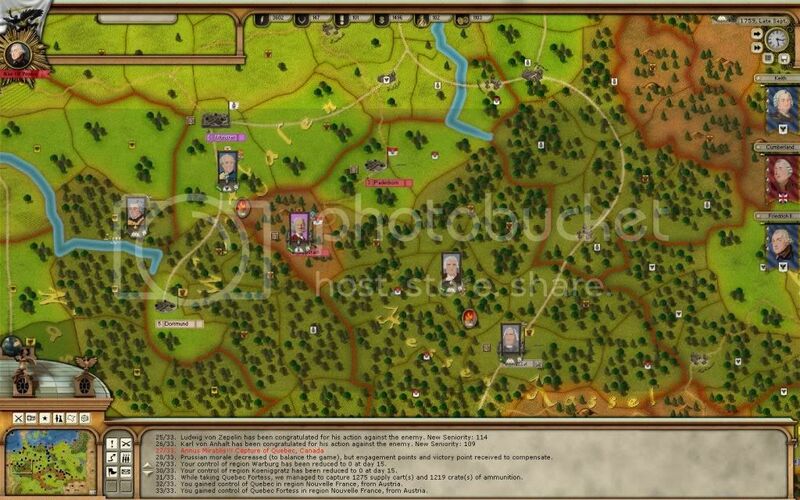 I think Kustrin can be their target, so Keith and his corps are moving there to set a defence. 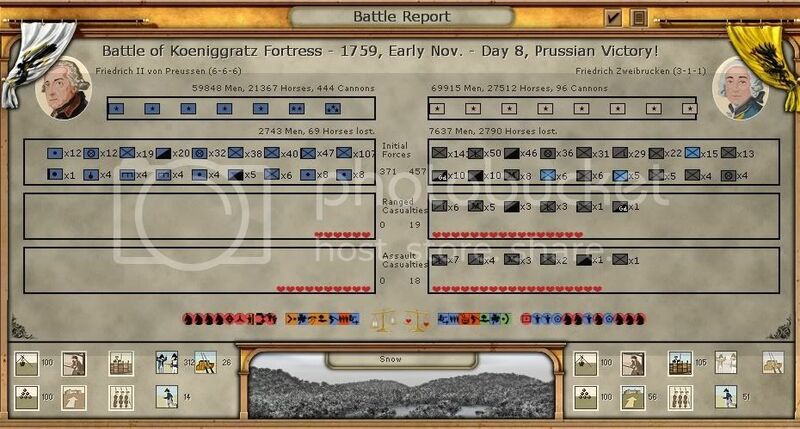 Frederick crushed Austrians, a glorious victory! 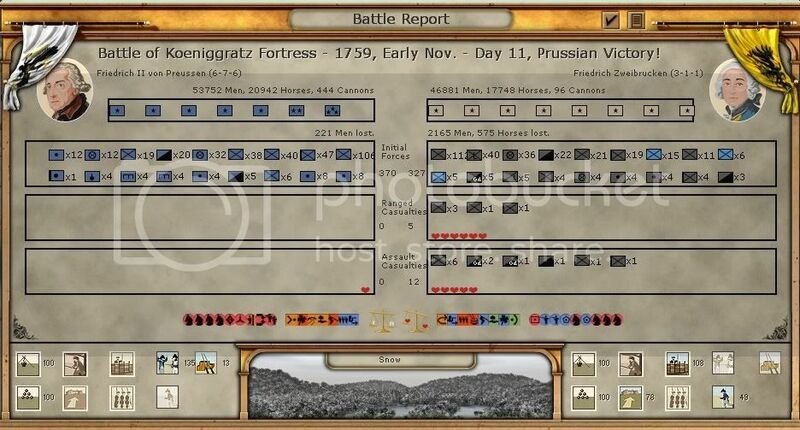 124 cannons and 2 supply units are captured from the enemy. 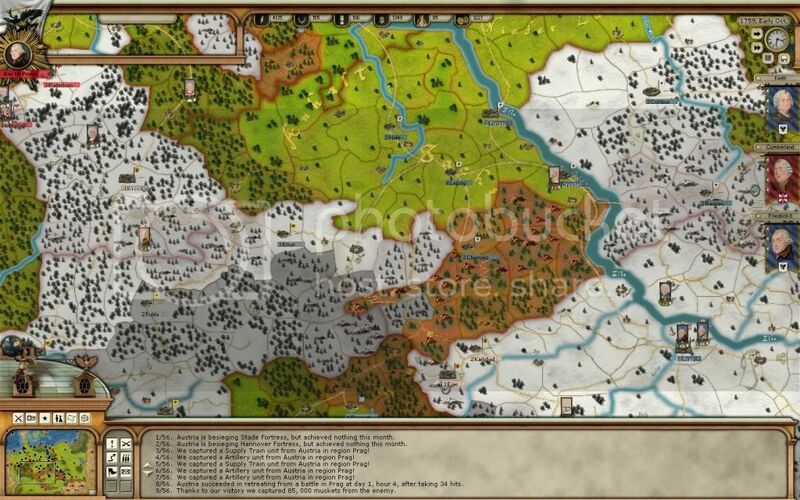 Prague is saved, Austrians are now trapped inside of my territory, and winter came in both West and South. 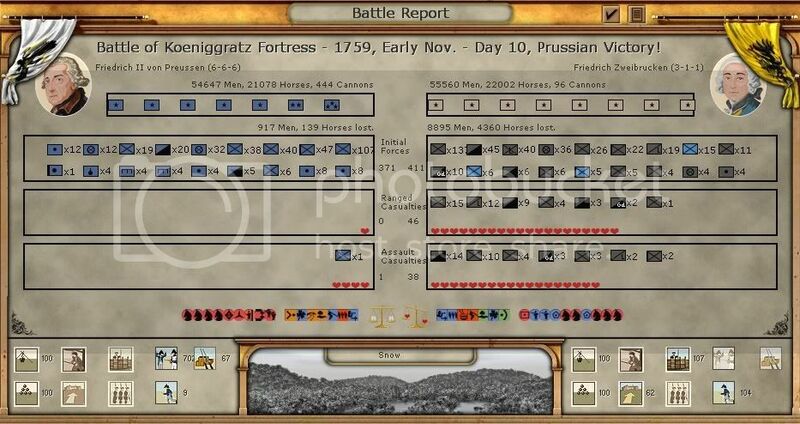 I won't allow Austrians to escape easily, entering to Prussian territory is hard, leaving is even harder! 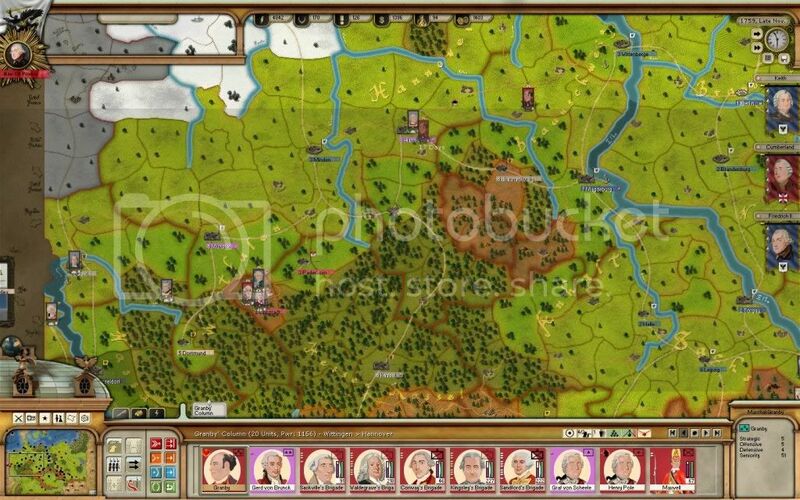 I don't understand what these Russians are planning to do They are moving south, are they gonna siege Silesia in winter? 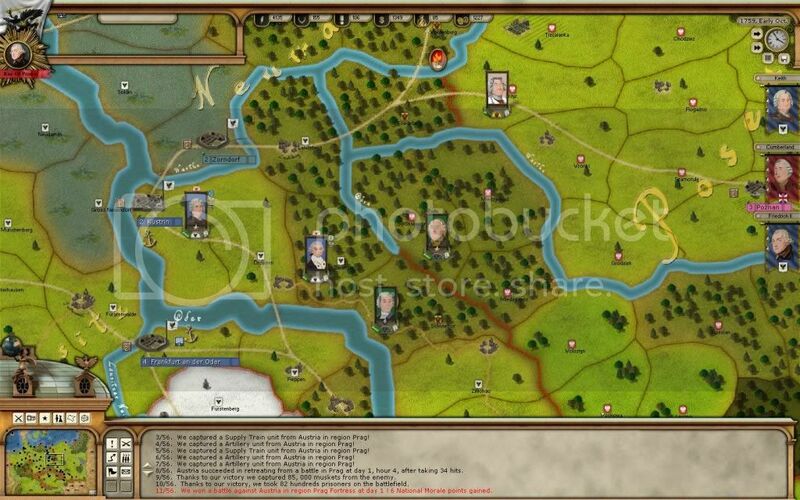 After these crushing defeats, Reicharmee retreated to inside and Frederick sieged the city! This is a great oppurtunity to finish Austrians off and send support to elsewhere! 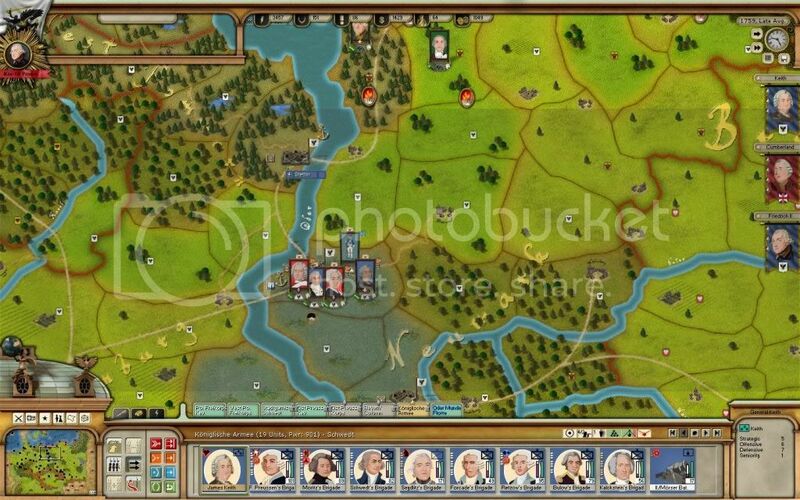 However, my forces' cohesions are low, so i am sending Schwerin in order to make sure they don't make me break off the siege.